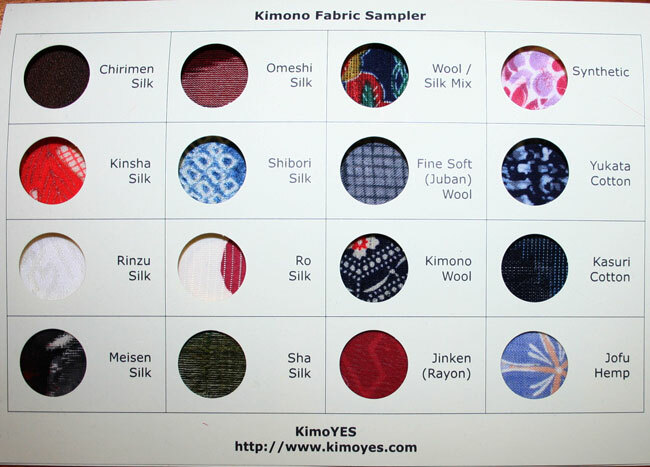 Kimoyes item: 14917 - This is a sample card of different types of Japanese textiles. 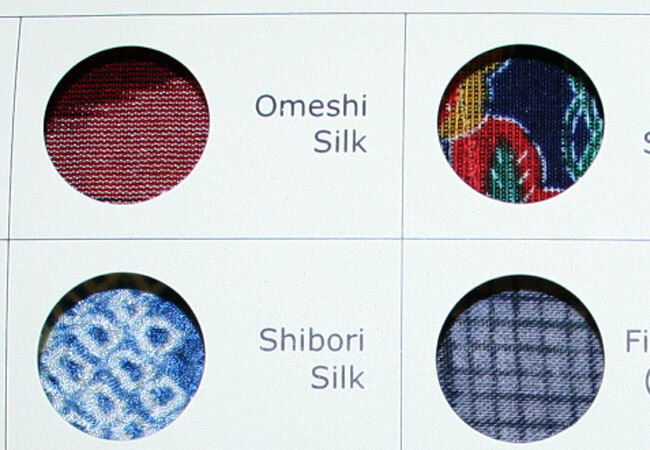 This is a sample card of different types of Japanese textiles. There are examples of 16 different fabrics, each one identified by name. This card is great for identifying differnt types of fabrics including various weaves and dying methods.